Thought I'd share with you this cute purse I won in a raffle. It was made by my friend Gwen. 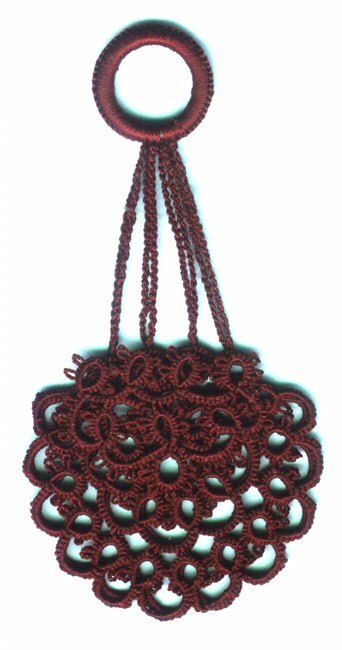 It's a great bag for tatting projects. The top casing has a 5" piece of dollar store tape measure on each side that makes it close with a snap. 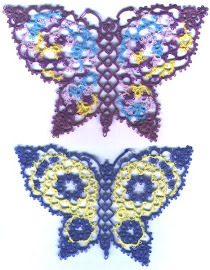 Took me a while to figure out how I wanted to embellish it with tatting. Finally did a hen and chicks with split chain handle. I like it so much I made another dozen myself for gifts. 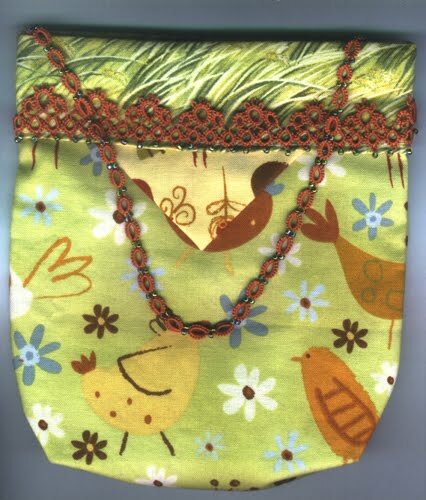 To diversify my display for Japan I made a penny purse using Gutermann silk thread. I love the feel of it, but don't much like the struggle to keep it tight. It's so slippery, gaposis just happens. Lovely penny purses you have tatted!